MTK MMA: Tayo Odunjo captures the MTK MMA Welterweight Title! 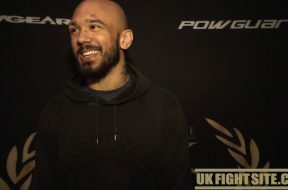 Perry McMahon caught up with Alex Montagnani at MTK MMA on Saturday night at York Hall. 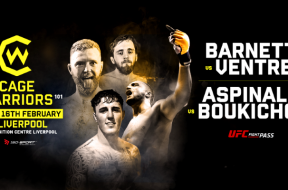 We discussed his canceled bout with MTK MMA Middleweight Champion Dan Vinni and upcoming bout with Mick Stanton at Cage Warriors 105. Alex also talks about his involvement in the upcoming Jesse Quinones directed film Cagefighter. 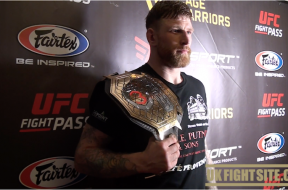 New Cage Warriors Middleweight Champion James Webb talks about his title win at CW 102 on Saturday night! 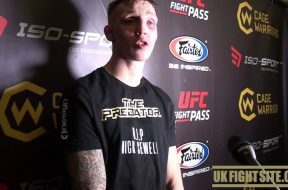 Rhys McKee talks about his great fight against Perry Goodwin at Cage Warriors 102 and a possible move to the Welterweight division. 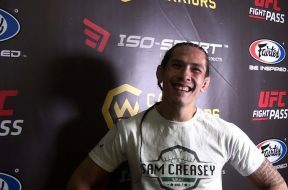 Sam Creasey talks to Perry McMahon about his win at Cage Warriors 102 on Saturday night! 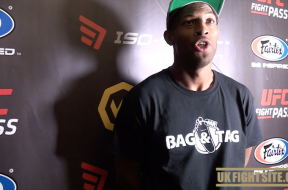 Nathan Jones talks about his impressive first-round submission against Martyn Harris at Cage Warriors 102! UK Fight Site is a online magazine featuring the best combat sports from around the world. The site features exclusive videos that include fighter interviews and documentaries. UK Fight Site.com is also dedicated to the amateur levels of combat sports in Great Britain. The site is the only online magazine committed to amateur athletes who are climbing the ranks to the professional level. We feature Olympic sports like Boxing, Judo, Taekwondo, Greco Roman and Freestyle Wrestling. 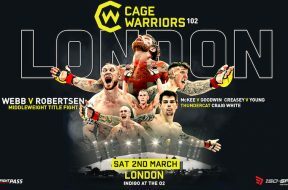 © 2017 UK Fight Site.com. All rights reserved.